"Jungle Cruise” Trailer - Dwayne Johnson to star in ANOTHER jungle movie! 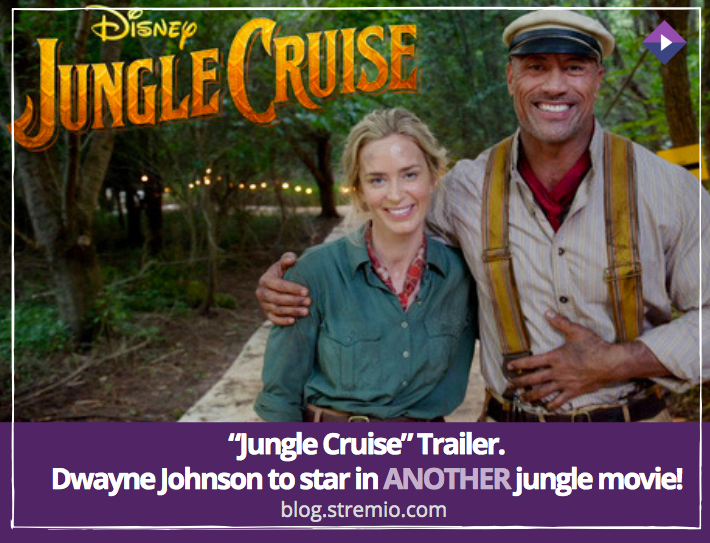 “Jungle Cruise” Trailer – Dwayne Johnson to star in ANOTHER jungle movie! The answer is another jungle movie. Isn’t that what you were looking forward to? More jungle movies with Dwayne Johnson? That’s right, guys. 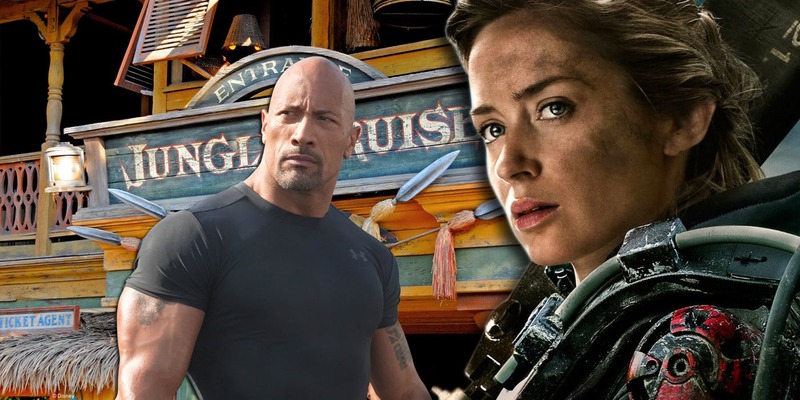 It started a couple of days ago when an announcement teaser trailer was released for the upcoming movie “Jungle Cruise” (they are really running out of ideas here) starring Dwayne Johnson and Emily Blunt. The video doesn’t show any actual footage of the film. It’s basically The Rock and Emily Blunt trying to be funny on the set of the movie talking about how excited they are to be in this. The only thing that we know so far is that it’s gonna be a love story in the jungle. That’s literally it! Not excited? Who can blame you? First of all, this must be one of the laziest teasers we’ve seen lately. We are pretty sure they could do more than that. Instead, what we get is a boring conversation that gives us nothing. Maybe that’s because there is nothing more to it. It’s just a love story in the jungle, and nothing more. Yeah, sure, a couple of good-looking stunts now and then, some mediocre jokes, and a lot of CGI. We’ll be very surprised if this turns out to be something different from that. You see, when it comes to Dwayne Johnson movies, the main problem is the lack of creativity. It’s all the same – jungle, jungle, cars, cars, weapons, jungle, cars, weapons, jungle. Chances are, you won’t get anything different from that. So, let’s take a trip back in time and see where it all started. His first encounter with the jungle was back in 2003 when he starred in “The Rundown“. A dеcent comedy with Seann William Scott (the guy who played Stifler, in American Pie). In 2012 “Journey 2: The Mysterious Island” came out. It was the sequel to the flick that came out back in 2008 “Journey to the Center of the Earth” with Brendan Fraser as the leading actor. It took Dwayne five years to go back to the dangerous jungle forests. He made a comeback in 2017 with “Jumanji: Welcome to the Jungle”. Now we got the news for “Jungle Cruise” which will hit the theaters in 2019. The funny thing is that the same year (December, 13th to be precise) Jumanji 3 will also be released! So, basically, that means that in 2019 we will have not one, but TWO jungle movies with “The Rock”! But that’s not all. There are two more Dwayne Johnson films coming out in 2019 – “Fighting with My Family” and “Hobbs and Shaw”. So, that means that every three months you’ll get a new movie with “The Rock”. The invasion is coming so you have to be prepared for that! Don’t say we didn’t warn you! An idea just popped into our heads. We think that he should seriously consider buying his own jungle. This makes way too much sense. He’s one of the highest-paid actors in the world right now so he can afford it, right? You see? No difference. Believe it or not, but the two pictures are actually from two different movies. The one on the left is from “Rampage” and the one from the right is from “Jumanji: Welcome to the Jungle”. C’mon, he could have at least changed the color of the shirt! How hard can it be? When you think about it, there are actors like Daniel Day-Lewis, Gary Oldman, and Christian Bale. 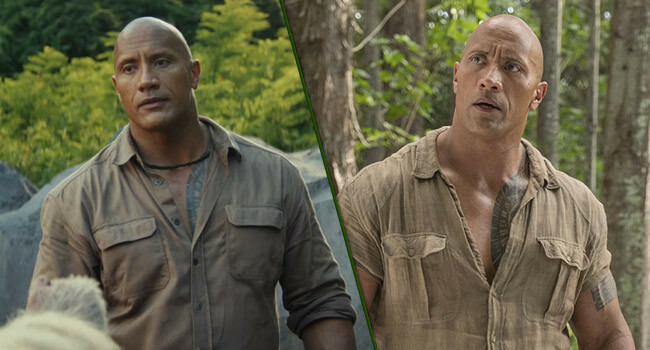 These guys go through incredible physical changes in order to prepare for a role, and there is Dwayne Johnson who can’t even change the color of his shirt. You see where we are going here? We are pretty sure that pretty soon we could be having enough material to make a “Dwayne Johnsons Top 10 Jungle Movies” list. But until then we will wait patiently. One thing’s for sure, we won’t have to wait for too long! Don’t forget to watch your favorite video content on Stremio!